It’s a shame: a well-fitting bike can often go unnoticed. When your saddle’s comfortable and your hands are resting on that sweet spot on your bars, life is good—no need to do anything other than enjoy the ride. But there are few things more frustrating than a long ride on a bike that almost fits, where the results can range from slight discomfort to injury. A few millimeters here or there can be the difference between a pleasant ride and madness (for you and your riding partners that may have to hear your gripes). Follow these quick tips to dial in your ride. Make sure you’re wearing your riding clothes when making these adjustments. Finding the right size frame is easier than ever. For some bikes it’s as simple as choosing from Small, Medium, and Large. Mountain and comfort bikes usually fall into this category, as they’re more easily ridden by different sizes of people than road bikes are. Body positioning becomes a little more important on road bikes, but it's not too complex either. The main measurement used to size road frames is standover height: this is simply how tall the bike is. No matter what the style of bike, you’re going to want clearance over the frame. Each of our bikes has a size guide to go along with it. Having your seat at the right height is probably the most important adjustment you can make right off the bat. Many beginning cyclists have their seat too low, which not only lessens efficiency but can cause fatigue and even injury. A seat that’s too high can be dangerous and uncomfortable. 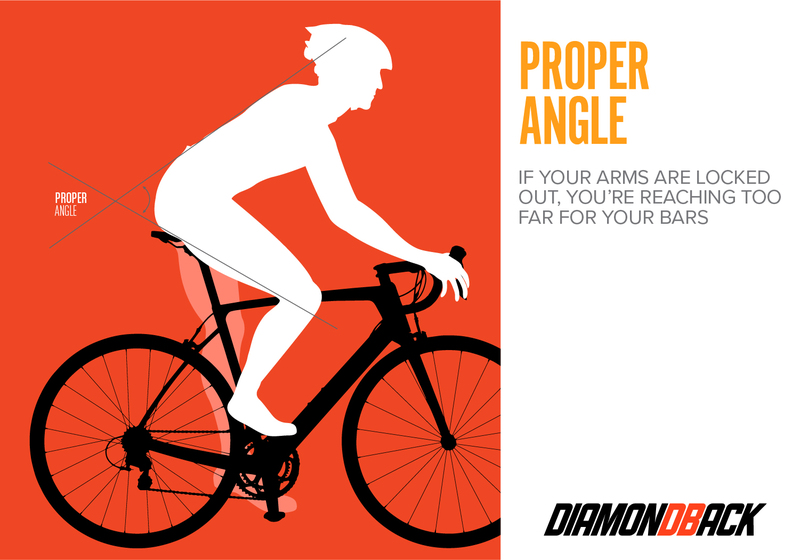 While standing flat-footed next to the bike, start with the seat touching your hip bone. This is a good baseline height to start from. With assistance from a friend, a wall, or a resistance trainer, mount the bike. When your pedal is at six o’clock, your leg should be locked out with your heel above the spindle. Moving the ball of your foot above the spindle (where it&rrsquo;ll be when riding), you should see a slight bend at the knee. 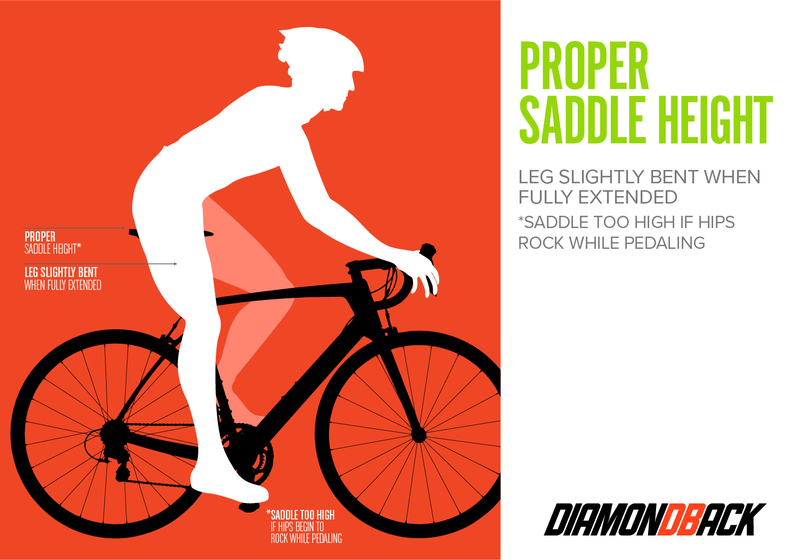 If your hips rock when you’re pedaling, you’ll have to lower your seat a bit. Proper reach is important to all cyclists. If your arms are locked out, you’re reaching too far for your bars. At best, you’ll end up with a stiff neck or tingly arms. At worst, you’re depriving yourself of full control of your bike. When your reach is too short, you run the risk of interfering with your body mechanics. This can lead to a whole host of problems, not the least of which is a sore back. 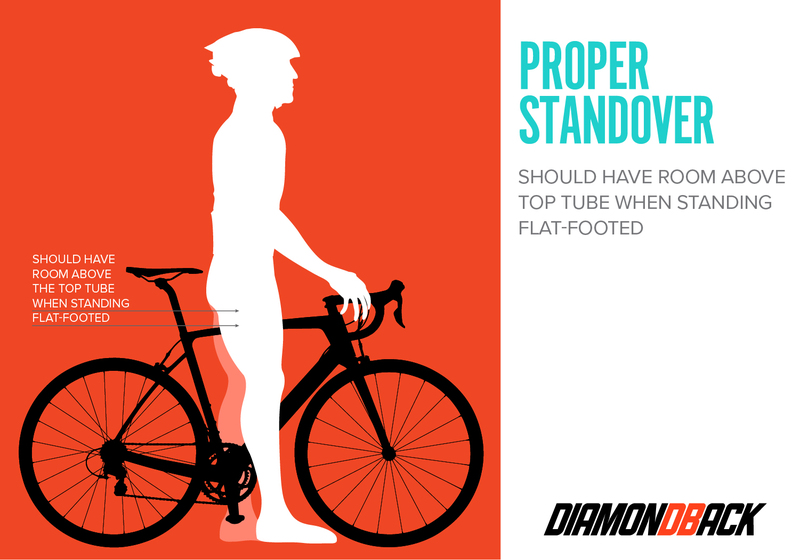 Make adjustments to your saddle’s fore/aft setting until your elbows are slightly bent. Straight elbows are unable to absorb road vibrations and bumps. Try and maintain a proper back angle when riding. 45 degrees is a good goal, with your upper arms perpendicular to your torso. This is usually very close to the most comfortable body position. After you’ve ridden your new bike for a few miles, you may find it necessary to swap out some parts. Saddles do have a break-in period, but sometimes they just aren’t compatible with certain riders. Don’t be afraid to throw on an old saddle or experiment with different stem lengths and heights. A few changes can make all the difference in comfort, and ultimately, happiness. Some people insist on a visit to a bike fit professional for expert help on dialing in your bike. If you have the means to do this, it is a great idea. But by spending a couple hours tinkering with your setup, you can get pretty close to a perfect fit in your own garage. Get the most out of your rides by listening to your body and being willing to personalize your bike: remember that any adjustments you make are reversible. It’s not rocket science but it is pretty important, and remember: it’s your bike. It should fit you.